get out | MSRcast and Metal Geeks Unite! 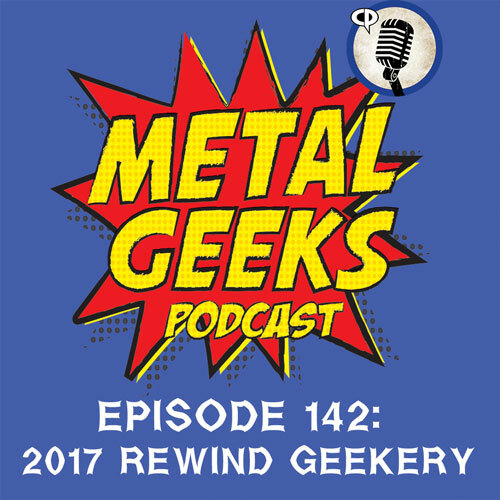 Joining the Metal Geeks crew this week is Sean the Metal Pigeon from MSRcast, as we Lego Batman, Get Out, Super Bowl trailer suckage, Santa Clarita Diet, The People vs O.J. Simpson, Drew Barrymore, Iron Fist and the Defenders, and we then dive into our topic of the week which is inspired by those Top 5 posts on Facebook, as we discuss our Top 5 Cheese, Cartoon, Bands, and much more! We also get into the band Bask during George Hates Metal this week.